Not even a year old, PacWesty is already taking the Pacific Northwest by storm. 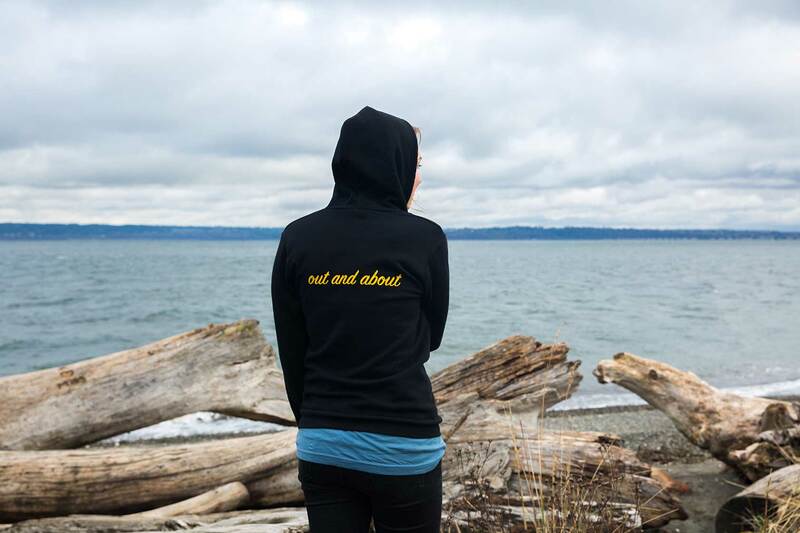 Headquartered a 35-minute ferry ride west of Seattle, this Bainbridge Island company specializes in getting visitors (and locals!) 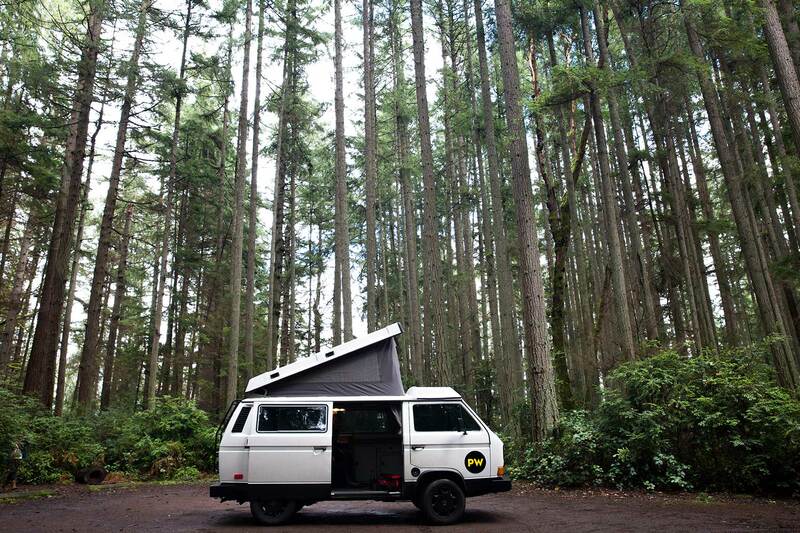 out to the Olympic Peninsula—more specifically, getting travelers out in fully equipped VW camper vans. Even more exciting, the company is working on converting one of their vans to be electric. As an Ecotourism major I’m sure you can only imagine how delighted I was to find out about that! No matter what your style of travel, PacWesty makes adventure travel seamless. For those a bit more experienced and open to a loose set of guidelines to navigate around the peninsula, the staff at PacWesty is happy to help craft your getaway. 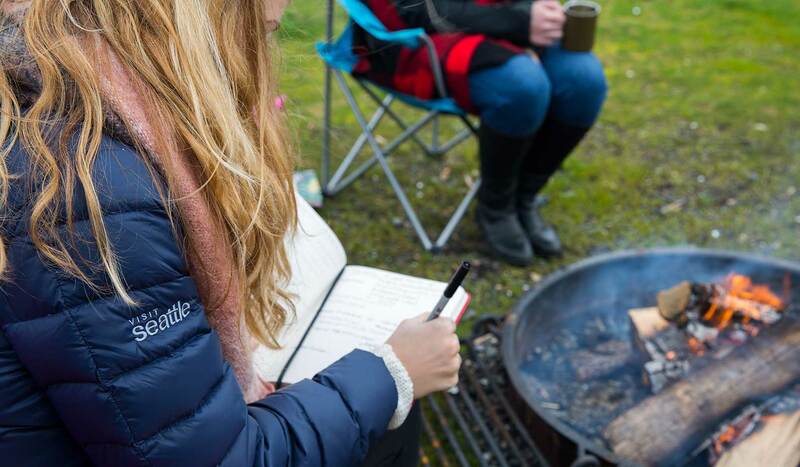 If you are less experienced or prefer to have a concrete itinerary, Rainshadow Escapes has partnered with the company to create a perfect play-by-play for each day. Every trip is customized according to travel style, personal preference, and time frame. The company provides a trove of recommendations and resources in the itinerary which they get back to each traveler within a 72 hour time slot. Regardless of which route you decide to go, you won’t want to miss out on spending a bit of time at Cape Flattery, Ruby Beach, and the Hoh Rainforest. Prior to pick-up or drop off, each van is carefully packed with camping essentials. Yep, that’s right; PacWesty will come to you if you can’t get to them. For an additional fee the company offers van drop-off in the downtown Seattle area as well as at Sea-Tac Airport. The vans are chock full of gear ranging from reusable mugs, to sleeping bags, to cleaning supplies, and everything in between. With more room in your bag you really have no excuse to not stock-up on plenty of Seattle goodies before heading out of the city. 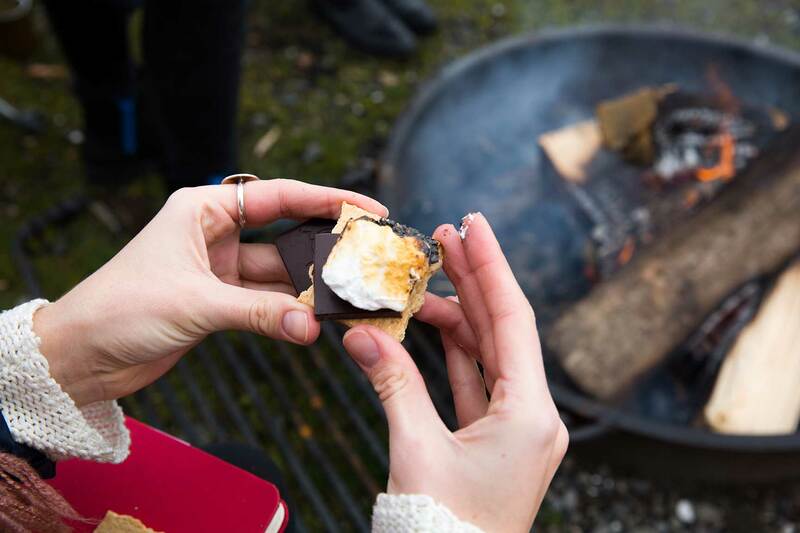 We all know that no camping experience is complete without s’mores. Before jumping into your Westfalia van, be sure to make a pit stop at the Theo Chocolate Factory to load up on an assortment of local chocolate bars. While you’re at it head over to Indi Chocolates in the Pike Place Market to snag some handmade marshmallows. Bring your taste buds along on your adventure and try pairing chai marshmallows with a ginger dark chocolate bar! While the adrenaline of exploring the peninsula will have you on the rise bright and early, chances are you will still need that occasional pick-me- up; or, if you’re anything like me, just one more reason to try some locally roasted coffee. Both Islandcraft Coffee and Storyville Coffee have their roastery located on Bainbridge Island. PacWesty will provide you with a French press, but you’re on your own for a coffee grinder. Luckily, both shops offer to grind your beans complimentary with your coffee purchase. After a long day of driving and exploring, take the opportunity to kick back around the campfire with a glass of vino or a microbrew. Offering wines from the Puget Sound region, Bainbridge Vineyards is certified organic and produces varietals including Siegerrebe, Müller–Thurgau, Madeleine Angevine, Pinot Gris, and Pinot Noir. If your drink of choice is hops based rather than grape based swing by Bainbridge Brewing to pick-up a few craft ales. The brewery offers year round, seasonal, barrel aged, and sour beers on tap. When it comes to traveling with PacWesty, no detail has fallen by the wayside. Indulge your senses in all that the Pacific Northwest has to offer on an adventure you’ll never forget. 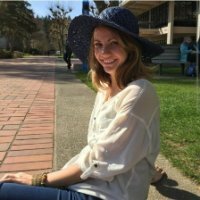 Alexis Beeton holds the position of Visitor Services Manager & Concierge at Visit Seattle. Originally from the Colorado mountains, she traveled to the west coast for college where she earned a degree in Tourism with an emphasis in Ecotourism. Since then, Alexis has forged a passionate career in assisting visitors and helping them craft their travel itineraries - although her personal travels never include an itinerary. While not working, Alexis can often be spotted enjoying local breweries, farmer's markets, and coffee shops.